Most of the people who need oven cleaning on a regular basis and live in Ealing know that our company is the most affordable one you could use for this particular service. If you want to try our cleaning services yourself, you could call us at - 020 8050 2865 and book your professional oven cleaning with us or use our quote form by clicking the button below and get the best prices for this job in Ealing. We guarantee you that you will be 100% completely satisfied and if you're not, we'll send a cleaning team for free of charge to perform a re-clean of your oven! We always try to get our clients their money's worth when it comes to oven cleaning and so far we've been doing a good job satisfying almost all of them in Ealing. 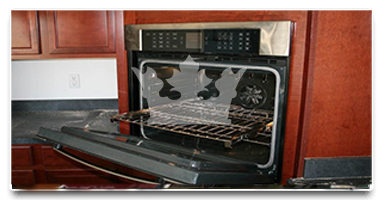 All of our oven cleaning clients in Ealing are entitled to the 200% guarantee policy of Royal Cleaning, which means that if the oven cleaning was not from the highest possible standard and was not enough to satisfy the customer, he can call and request a free re-clean if 48 hours have not passed yet. 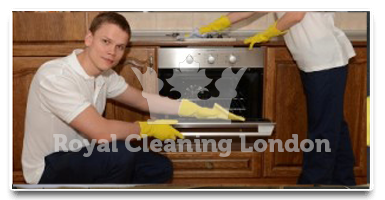 A long internet research led me to the website of Royal Cleaning and after consulting with a few people that I'm friends with about them I booked my oven cleaning with them and it was wonderful. From the professional cleaners, through the green non toxic detergents that they used all the way to the price which was as low as possible everything was amazing. Will definitely use them again for my apartment in Ealing! Bye bye grease and grime, that's what the bottom line of the oven cleaning done by Royal Cleaning was. It was done fast, efficiently and without any problems whatsoever. They even dismantled and disassembled parts of my oven in order to clean every part of it, this made a big impression on me, just fantastic! There aren't better cleaners in Ealing than these.